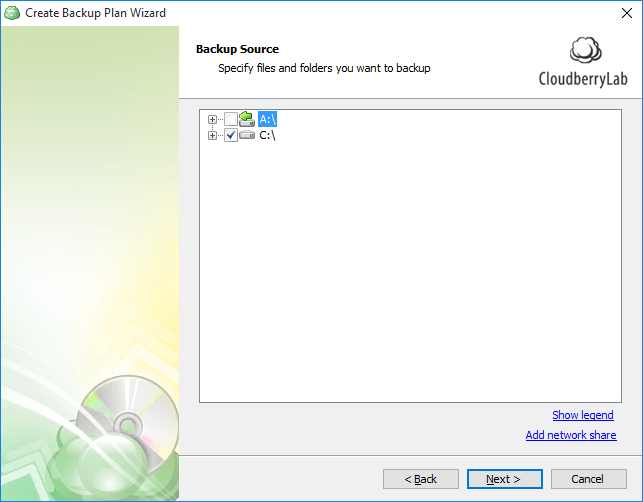 If you are looking for the best possible solution that can actually back up all your data and provides protection from it as well, then the CloudBerry Backup for Windows is one of the best cloud backup solutions. 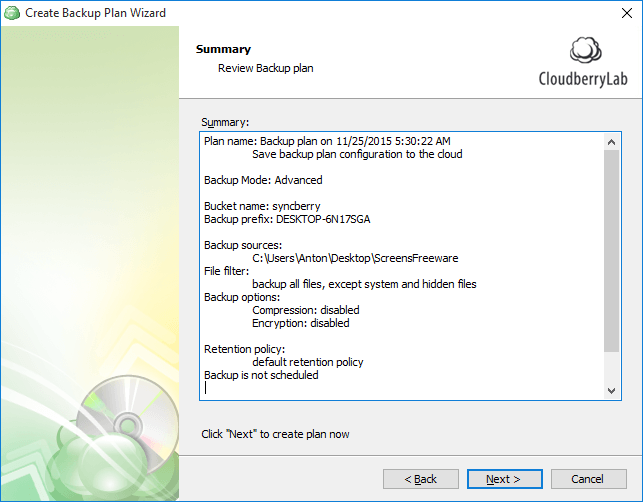 I have reviewed the other version of CloudBerry Backup Ultimate before, but this time, I am looking at the one that is released for Windows recently. Honestly, seeing the already brilliant backup software on Windows is a lot of relief because Windows still need a solid program that will aid users in making sure that their data is safe and secure. 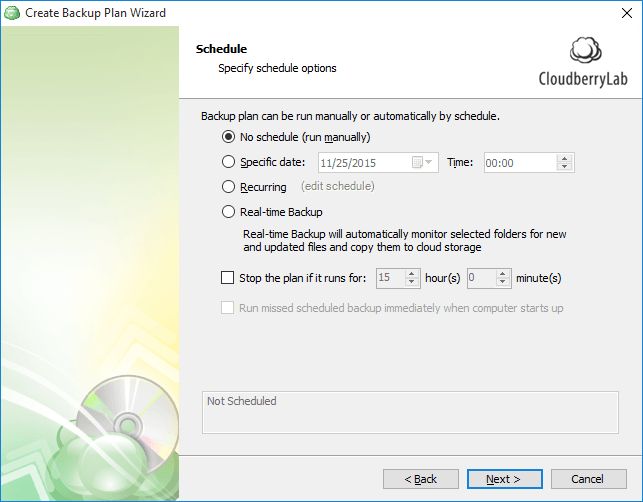 You can find some of the main features of CloudBerry Backup for Windows below. 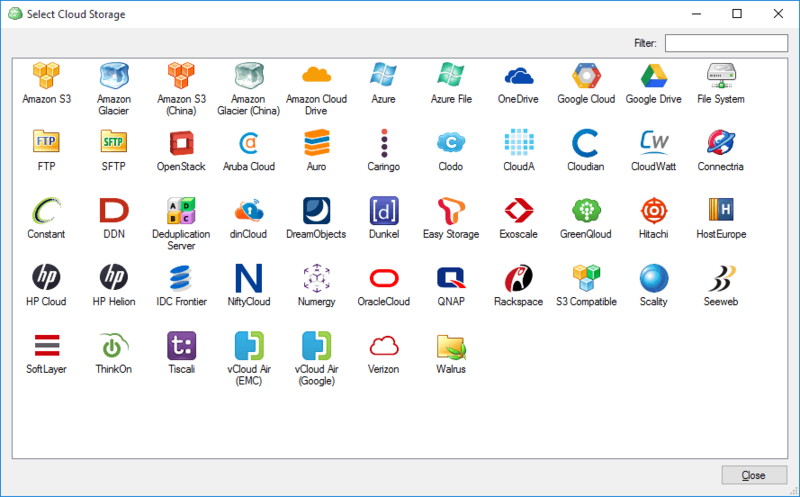 As you would expect, the CloudBerry Backup for Windows is loaded with features that you would love to have. 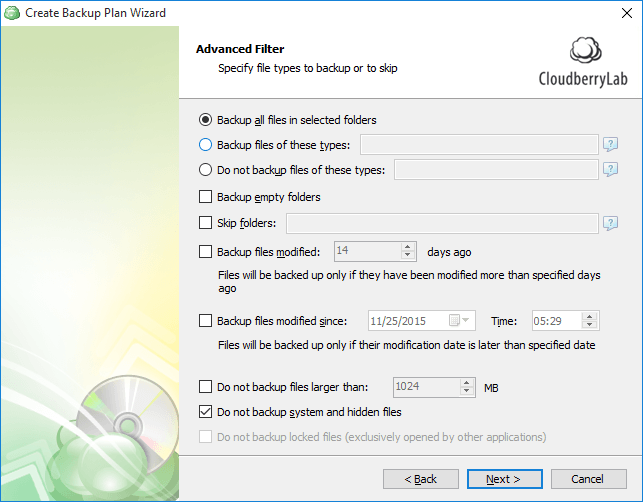 Some of the main and highly revered features of CloudBerry Backup For Windows Desktop are listed below. 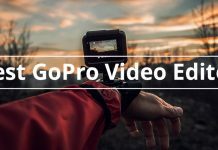 The software is developed to take block-level screenshots and upload them directly to the cloud storage of your choice, allowing users to use hardware that does not match on different platforms as well. All the backup is encrypted with 256-bit AES encryption ensuring the maximum possible safety of your data. 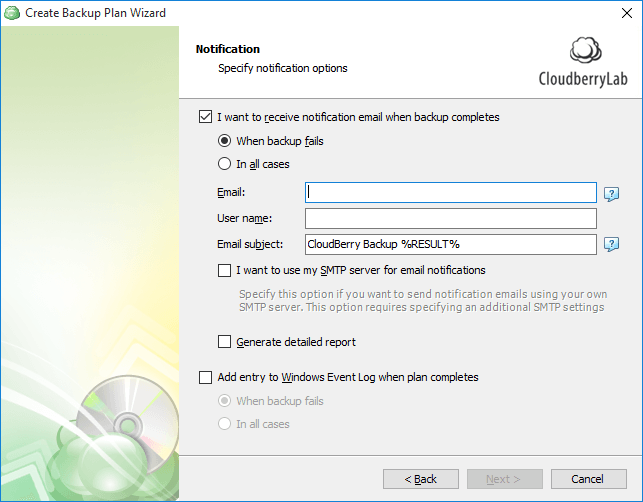 CloudBerry Backup for Windows allows for cloud-to-cloud backup that basically allows the user to copy and backup their data from one cloud to another cloud without any issue whatsoever. 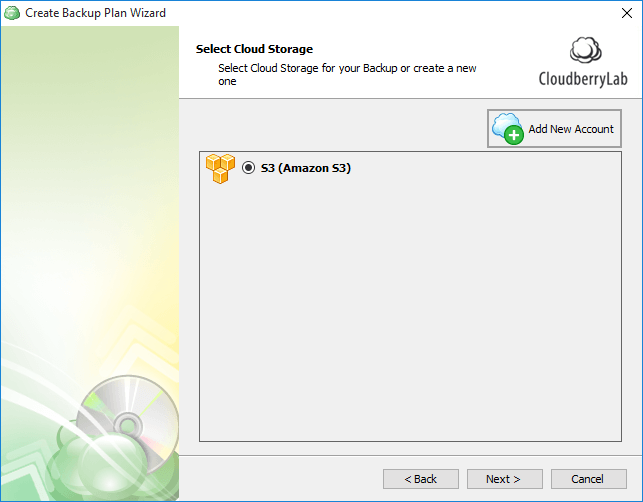 Another feature of the CloudBerry Backup for Windows is that it offers great data compression; which basically means that the data overhead is not as high, and the data cost is low as well. In addition to that, the compression module allows for faster uploads, and downloads of data that is backed up on the cloud services. Downloading and installing the CloudBerry Backup for Windows is actually one of the simplest things there is. 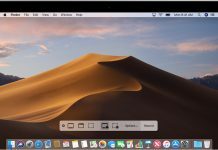 You just need to download and install the software from here, and once you are done, just follow the guide below that covers both the installation and the usage as well. Note: The process spans across more steps than usual, but every single one of them is self-explanatory, and will not give you any trouble. Step 1: Once you have installed the software, I would suggest you run it. Step 2: Once the CloudBerry Backup for Windows launches, you will be brought to this screen. Step 4: Above, you will get to choose the cloud storage provider of your choice, and in case you do not have one, you can add a new account there as well. If you click on “Add New Account”, you will be brought to this screen. 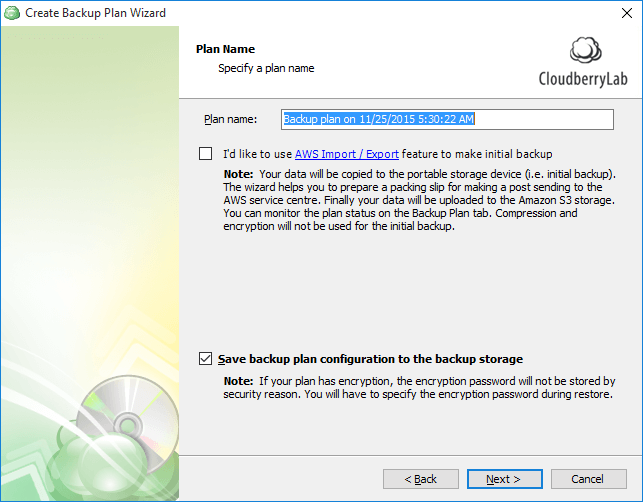 Step 5: Once you are done selecting the backup provider, you will need to select a name for the plan along with some other settings, and then hit “Next”. 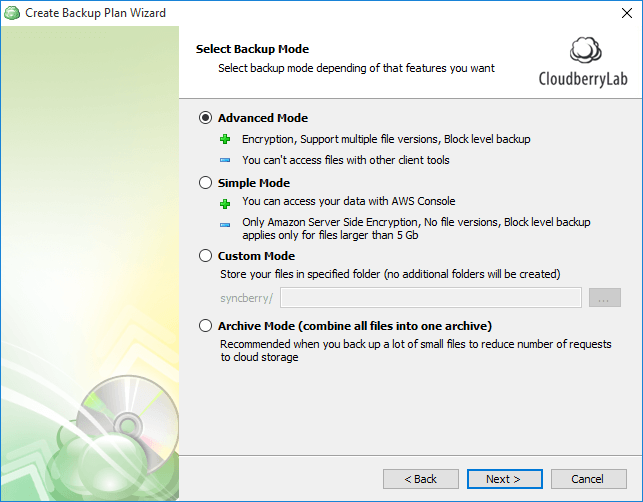 Step 6: On the next page, you will get the chance to select from 3 different backup modes, or create your own that suits your needs. Step 7: Once that is done, you will be on the page that will list some of the advanced options. Choose whatever option that suits you, and click on “Next”. Step 8: On the next page, you will need to select a backup source. 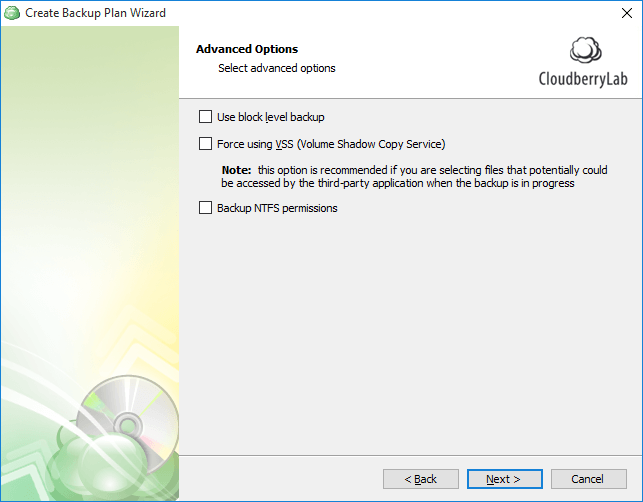 Step 9: Once you have selected the backup source, you will be taken to another page loaded with options that you can select. Step 10: Once you are done with selecting all the necessary options, the next page will be about encryption as well as compression of the data your backing up. Step 11: On the next page, you will get to set the retention policy as per your requirements. Step 12: On the next window, you will be asked to decide whether you want to create a schedule for backup, or you want to do it manually. 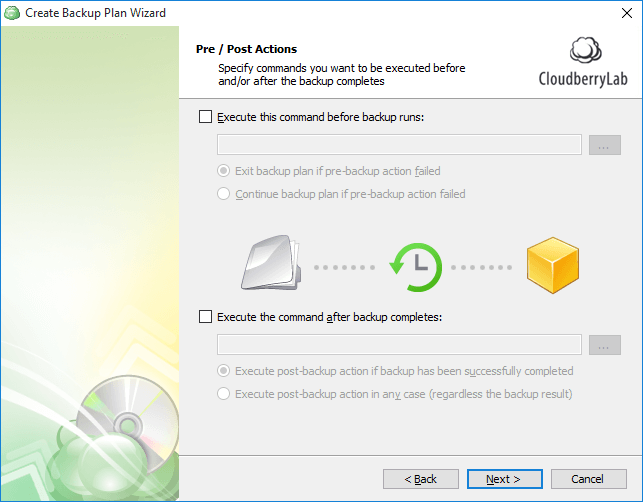 Step 13: In this step, you will be asked to choose commands that will be executed before the backup starts, and after the backup is finished. Step 14: Now you will get the chance to enable email notifications which, in my opinion, are very useful. Step 15: In the last step of the process, you will be asked to review your backup plan in order to finalise the options that you have selected in the previous steps. 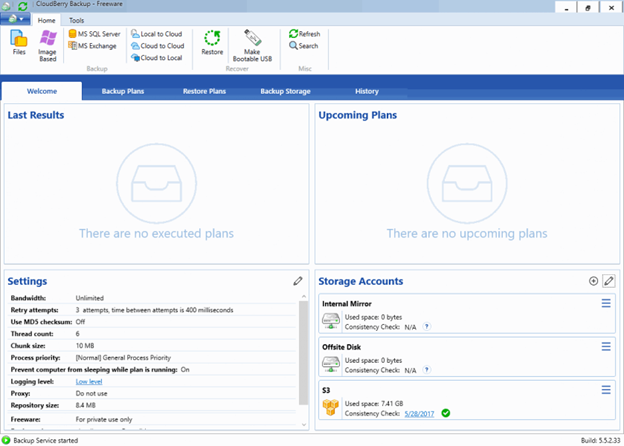 Step 16: From the screenshot above, just click next and your backup plan will be created. 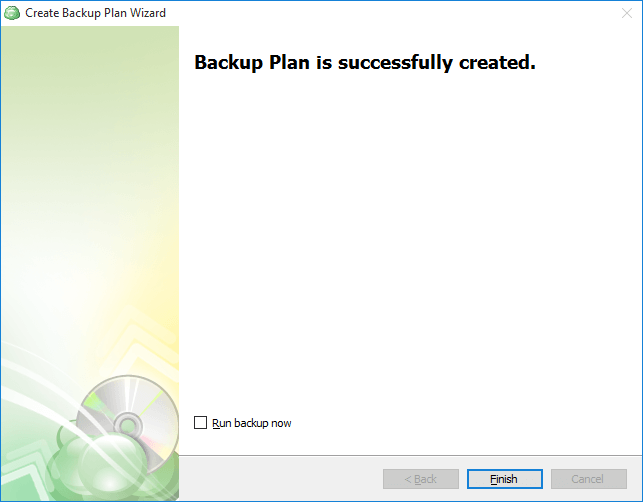 Step 17: Once the backup plan is created, the next screen will give you the following message. As you can see, the backup plan has been successfully created. You can either close the window by clicking on “Finish” and go about what you were doing. Or you can actually select” Run backup now”, and then click on finish in order to start the backing up process right away. I will be honest here, the number of steps that you have to take is certainly intimidating, but the good thing is that they are self-explanatory at best, and once you go through them, things become much, much easier. 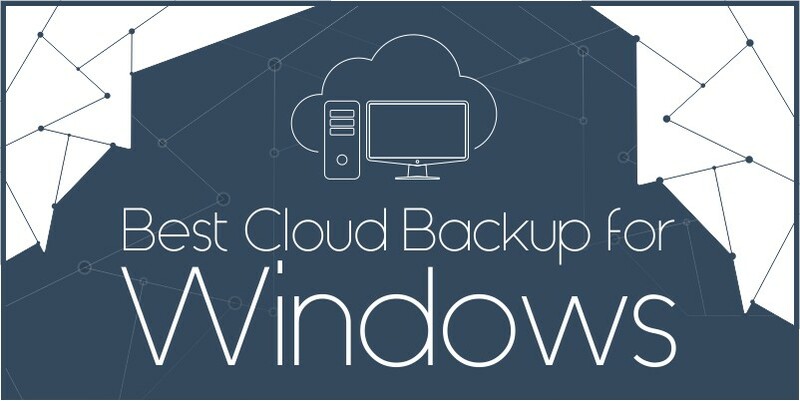 As far as the CloudBerry Backup for Windows is concerned, I have to say that it is one of the best cloud-based backup services out in the market. 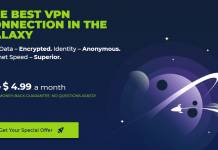 It is easy to use despite all the intimidating steps, and most importantly, the plethora of cloud service providers you can choose from is impressive to say the least. However, if I am to wish one thing from this otherwise amazing backup provider, it would be that it should get a centralized place for managing your backed up file. But considering how the developers are actively supporting this software, and adding more features, I will not be surprised if the aforementioned feature makes it way to the future version. 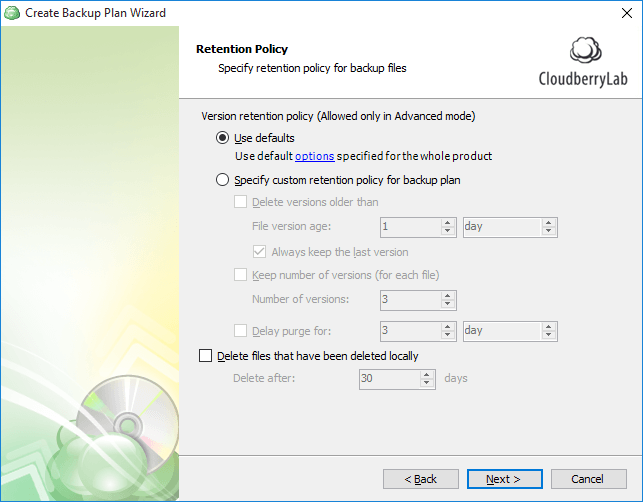 Needless to say, even the current version of CloudBerry Ultimate Backup which is the best CrashPlan alternative available in the market is more than enough for your daily backup needs. Comes with a freeware version. Has a plethora of cloud backup providers. Your backup will be secure thanks to 256-bit AES encryption. The process of creating a backup plan can be a bit intimidating. Writer, gamer, and a tech geek. I have been writing professionally for the best 7 years, and have finally found a place at Twitgoo where I can share my reviews and roundups on some of the finest softwares available to make your jobs much, much easier. When I am not laying waste to enemies in PUBG, you can find me penning down some helpful tutorials here on Twitgoo.